Communicating with our customers is very important to us. 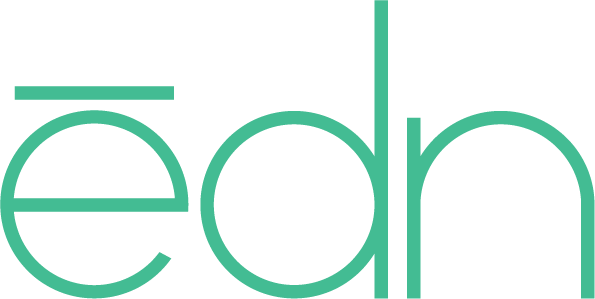 ēdn is here to be your support system through your growing experience! We have created a Help Center that is designed to provide our customers with self service support. We have also created a community discussion board where our customers can interact with each other and share their progress on growing a beautiful and healthy garden! You can access our Knowledge Base through our website https://www.edntech.com. In the upper right corner there will be an option to click the "Support" tab. This is where we recommend going if you have any questions, comments, or concerns you would like to address. The support tab will take you to a new page where you will find different categories to choose from. Each category consists of sections that contain articles that address specific questions. If you have a specific question relating to a specific product you purchased, simply click on either the "SmallGarden" or "WallGarden" tab. This is where you will find articles that address specific product questions. For instance, such as set up instructions or how to recalibrate your moisture sensor. Under the "general" tab, you will find answers to less product specific questions such as shipping information or how our technology works. Simply click on any of the stated questions and it will direct you to your answer in the article! For questions regarding plant care, we also have a tab called "plants". This should guide you through anything from recommended watering amounts to how to correctly harvest your garden. To quickly find information you can also use the search bar located in the middle of our support page. We try to provide answers to a variety of frequently asked questions. However, we know we can't possibly answer everything through our Help Center. If you cannot find the answer to your question, you can click the "Submit a Request" tab located in the upper right corner of our support page. Simply fill out the request form and we will get back to you shortly! We love to hear from our customers, which is why we have created a Community center where our customers can interact with each other to share helpful tips, ask questions, and search for answers. To access our community board, click the "Community" tab located in the upper right corner of our Support page. The community posts are organized through topics of discussion. To navigate through our community page, you can browse the discussion topics, or use the search bar. If you would like to receive updates about a certain topic you find interesting in the Community, you will have the option to subscribe to a post or topic to get notifications when there is new activity posted about that discussion topic. To sort through content within the community, you can browse all topics, or you can reduce your search by only viewing recent, newest activity, comments, etc. To view all posts, click the down arrow on the "Community Topics" tab located on the Community home and select "Show all posts." To sort posts within a specify topic, select "Show topics" from the "Community Topics" tab. From here you can sort posts based on newest, recent activity, votes, and comments. You can also sort comments within a topic by selecting "Dates" or "Votes" located at the top right of the comment. If you can't find the answer to your question in the Knowledge Base Help Center or the Community discussion, you can make your own post in the Community to get answers. To do so, select "New Post" located at the top right of the Community home page. From here you can enter a title, details, topic and then submit. You can view your contributions by clicking the profile icon in the upper right corner of the Community page and selecting "contributions". By following content in the Community and the Knowledge Base, you are subscribing to it, meaning you will get notifications when activity occurs on those posts. In the Knowledge Base, you can follow sections and articles but not whole categories. In the community you can follow topics and posts. To do so, go to the section or topic you want to follow and click "Follow". You can unsubscribe from following posts at any time. To unfollow and section or topic, navigate to the specific post you want to unfollow and click the "Following" tab and then select "Unfollow". You can manage your subscriptions in one place by clicking on your icon in the top right corner of the Community page. Select "My activities" then select "Following". Here you can make changes to your subscriptions. You can edit information in your profile under your profile icon. Select "My profile" and then "Edit profile". You can provide your name, avatar, and email information here.